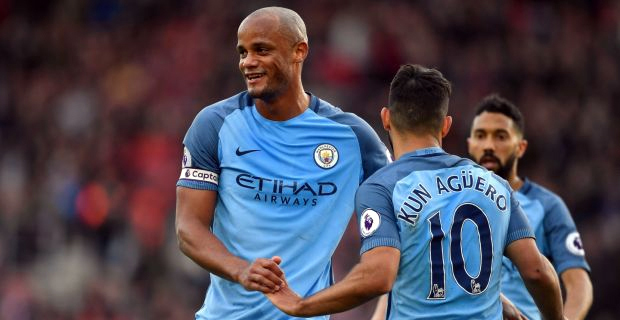 Sergio Aguero and Vincent Kompany could return for Manchester City to face the Wolves after missing the past two FA Cup games because of illness and a muscle problem respectively. The defending champions of the English Premier League will take on newcomers, Wolves this hour at the Etihad Stadium. City Manager, Pep Guardiola says that Wolves are strong physically and make good runs in counter‑attack. Manchester City has won 12 of their past 14 home league fixtures, with their only defeat during that period coming against Crystal Palace. A draw or a win for the Wolves will ensure that they become the first promoted club to reach 30 points after 22 matches of a Premier League season. Manchester City remain in the second place on the English Premier League points table with 50 points while Liverpool are in the first place with 57 points. Tottenham is in third place with 48 points.